Do we ask too much? No, weve asked too little. - Publisher Do we ask too much? No, we've asked too little. Change, chaos, confusion - how can a pastor make sense of it all? The tap root of United Methodism goes deep into fertile soil - firmly planted in Scripture and enriched by the Holy Spirit. Our theology is rich and grounded into the depths of community and accountability, but the way we live out that theology is wide and deep-- both bane and blessing. United Methodists are neither blown away like chaff nor root-bound. Our calling is still to strive to be methodically faithful and alive in Spirit. This is our heritage and our vision. But will we dare to lean into the winds of change and be strengthened by the challenges we find? Only with God's help. 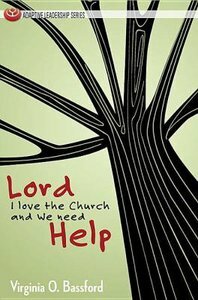 About "Lord I Love the Church & We Need Help"
Do we ask too much? No, we've asked too little.